A global thought leader on Behavioural Strategy, Dan helps his clients drive performance by design, create engagement through purpose and to be more persuasive in their one on one communication, when presenting to stakeholders and their team and in their sales and brand strategies. Think of him as "IT support for your Human Software." Rated in the “top 25 C-Suite Speakers to watch” by Meetings & Conventions USA and drawing comparisons to Simon Sinek and Ricky Gervais, Dan brings rare human insight and a razor sharp wit that was honed on the stand up comedy stages of the UK, Australia and the United States. Dan has worked with senior leaders, corporate boards and C-Suite executives at organisations such as Apple, Bayer, the Commonwealth Bank, PwC and Vodafone helping them navigate the world of strategy and behaviour change. Ultimately, Dan is in the business of helping smart people become people smart! Too often, theories of high performance are informed by corporate clichés and business BS rather than practical and cohesive strategies. Alternatively, we will often put ourselves down or prop ourselves up - relying on the carrot and stick method of motivation. However, research tells us that not only are these short term strategies (at best), they are often counter productive and “de-motivating”. In this powerful and transformative presentation & workshop, Dan Gregory will demonstrate how design beats discipline when it comes to motivation and how we can hack & harness the power of our own human nature. Today, leaders are critically aware of how purpose drives culture, performance, engagement, recruitment and even better customer outcomes. So what does it take to not only lead your organisation or team, but to shape the future of your entire industry? This is the question that Dan will answer in this timely and exciting presentation & workshop. He’ll give you the tools you need to navigate the intersection between your strategic purpose, values-driven behaviours and shared beliefs and outline the role we all play in creating environments where “cultures of the willing” can emerge and grow. What makes us buy? What makes us buy in? These two questions float around the minds of leaders, sales people and marketers like a kind of mental screen saver. In this insightful & highly practical presentation & workshop, Dan will reveal the psychology of human engagement and how we can be more persuasive in our face to face communication, when presenting to stakeholders or our team and, of course, in our sales and marketing. 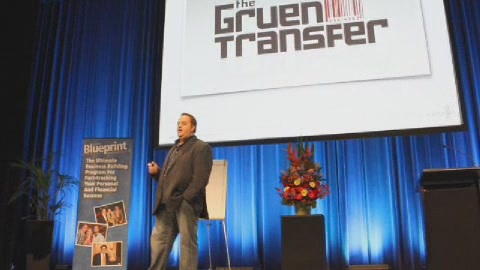 We recently held a conference in Sydney for 350 attendees and Dan Gregory was one of our main speakers. His presentation was full of informative and original content. It was extremely funny and had our audience in stitches. He used a lot of great examples and stories which enabled his message to really stick. The best part for me though was all the wonderful feedback that we got at the end of the event plus I'm still receiving comments to this day regarding Dan's presentation. 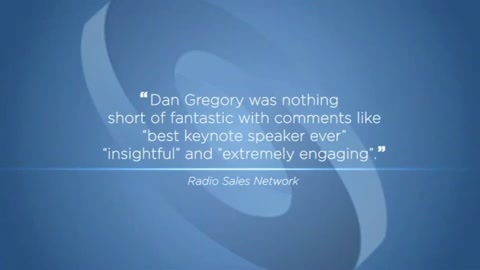 I would definitely recommend Dan in the future to anyone looking for a fantastic speaker. Dan's presentation wa very impressive and we greatly enjoyed both the content as well as Dan's natural and enthusiastic presentation style. 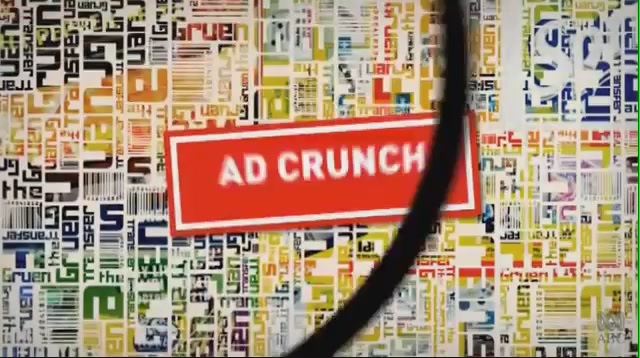 Dan has a tremendous background in the advertising industry and is very generously willing to share his insights. Both students and staff commented very positively about his presentation, and the university online magazine 'Globe' featured his guest lecture. Anybody who can attend Dan's presentations should consider themselves very privileged. On numerous occasions I have had the pleasure of listening to Dan Gregory present his ideas and thoughts on advertising, marketing and social issues. Rarely I have heard anybody articulate their thoughts with such clarity and vision. His intelligence and insight provides a much greater understanding of his work and the benefits it provides to customers, consumers and the community. I would whole heartedly recommend Dan as a speaker - you will never be disappointed. Charming, witty and entertaining were the adjectives used to describe Dan's presentation and the industry knowledge that Dan holds is second to none. Recommended listening. 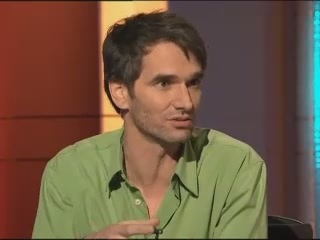 I just wanted to say that Dan hit the mark perfectly. The audience responded very well and there was very strong feedback. He was on topic and on song. Thank you for the recommendation and for making this happen. Dan was fantastic in his ability to engage a group with varying experience as he spoke of leadership, teamwork, collaboration and personal motivations. Everyone took something out of the concepts he introduced as they were relevant, interesting and thought provoking for the entire group.